and the project manager Hélène Lebrun Andersson. Thanks to the help of Dr. Yves-Marie Legrand and Christelle Floutier. The 6th DYNANO Event took place in Bucharest, Romania on 15-18 April 2015.
meeting, interactive brainstorming and networking) event including a tour of Prof. E.
Stockholm, Sweden. It was kindly organized by the Royal Institute of Technology (KTH). The workshop (1-3 September) was dedicated to QCM courses and set up by Attana AB at KTH. 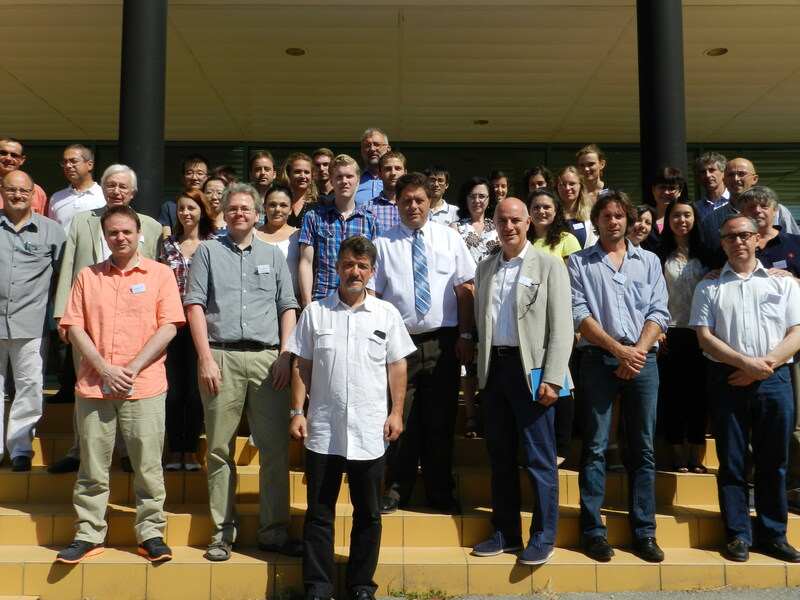 The 4th DYNANO's Network & SB Meeting took place on 5-9 April 2014 in Namur, Belgium. DYNANO’s Mid-Term Review Meeting. 3-4 October 2013. Madrid, Spain. The 3rd DYNANO's Network & SB Meeting was held on 3-4 October 2013 in Madrid, Spain. It was organized by the Spanish National Research Council - Centro de Investigaciones Biológicas – CIB. Joint DYNANO & GLYCOPHARM Summer School. 30 September- 2 October 2013. Madrid, Spain. The 3rd DYNANO workshop was organized at the Biological Research Centre (CIB) of CSIC in collaboration with the ITN GLYCOPHARM, as a 3-day joint Summer School. 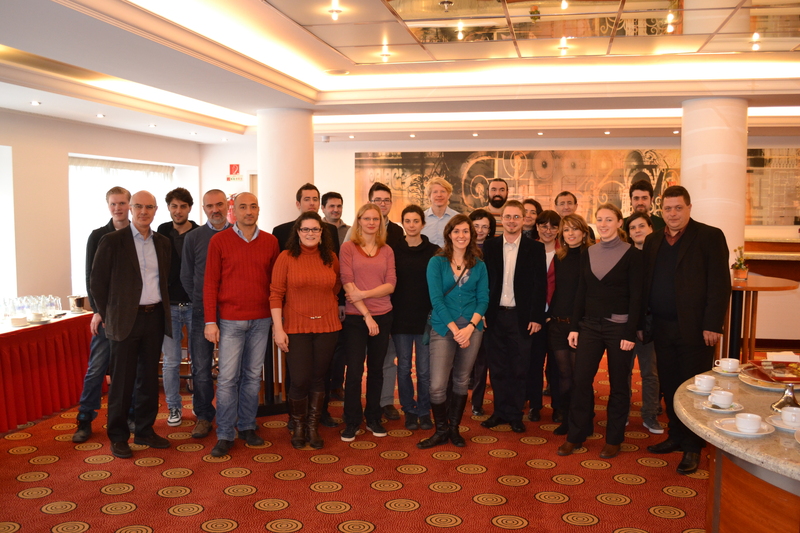 The 2nd DYNANO's Network & SB Meeting was held on 27-29 March 2013 in Budapest, Hungary. It was organized by the Semmelweis University and took place at Novotel Centrum Budapest. A lab visit at the Semmelweis University, several sessions of presentations of ESR and DYNANO senior researchers were planed. The last day was dedicated to the Supervisory Board meeting. 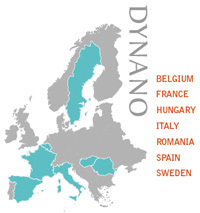 On 16 October 2012 afternoon, the coordinator M. Barboiu and the organizer A. Scozzafava opened the second Dynano event by welcoming the partners and the students to the first Dynano workshop. Nicolas Giuseppone had the pleasure to inaugurate the session with a presentation on Dynamic constitutional chemistry where he presented both introductory notions and some deeper insights into the area. On the 2nd day morning, 2 sessions were dedicated to the Dynamic Glycochemistry and NMR presented by our network experts S. Vincent and J- J. Barbero. 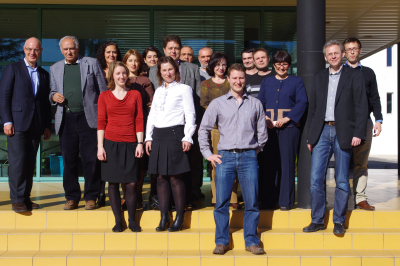 The KO meeting was kindly hosted by the European Institute of Membrane on 25 January 2012 in Montpellier, France. The coordinator Mihai BARBOIU presented the project history: He explained the background of DYNANO since the latter was preceded by a first ITN network named "DYNAMIC". He continued his presentation about the project activities, milestones and deliverables. Then, each partner gave a short presentation of his organization. The project manager Marion Ritchie gave an overview of the content of the Grant Agreement and the Consortium agreement. The dissemination officer Sadika Guedidi followed by introducing the project means of dissemination and communication. The kick-off meeting was the opportunity to meet all the partners and to discuss the project in detail: what we have planned, what is expected from us and how we envisage going forward.